GreenTech will open its doors for the fourth time at RAI Amsterdam Convention Centre, and this year from 11 - 13 June. The theme of the Summit will be: ‘Autonomous technology – a formula to accelerate business, professional horticulture beyond the green thumb’. The summit will be on 12 June, the second day of the trade show. Visitors to GreenTech will have the opportunity to meet at least 470 exhibitors. Among these exhibitors are all the major greenhouse builders including the Dutch market leaders and innovators, the front runners in the horticulture technology sector and some of the biggest seed companies. Besides that there are 4 dedicated pavilions in Vertical/Indoor Growing, Precision Horticulture, Medicinal Cannabis and Organic. In these pavilions the providers of the latest technological solutions, for these sectors, come together. At GreenTech you can find a wide variety of growers in vegetables, fruit & flowers, horticulture investors and governments from all over the world. This year there will be 3 theatres: ‘Food & Flowers in Greenhouses’, ‘Climate, Water and Energy’, and ‘Trends and Innovations’, where more than 80 sessions will be organised on what’s happening in the world of horticulture. This year’s edition will focus on artificial intelligence and autonomous technology for greenhouses. Special attention will be given to organic, indoor farming and to growing media (substrates, peat, etc.). This year will also feature an area for medicinal cannabis farming. 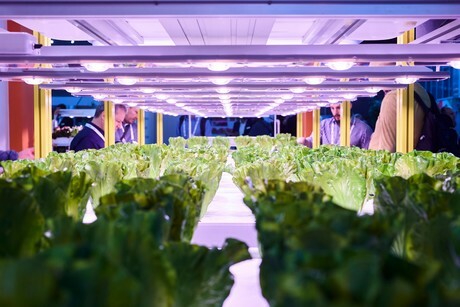 Next to that it will be possible to visit the world’s leading vegetables and seed breeders in their own demonstration areas in close distance to Amsterdam. Also pot and bedding plant breeders will show their newest varieties during the FlowerTrials, which will run parallel to GreenTech 2019. During the GreenTech Summit 2019 on 12 June (afternoon/evening), industry leaders will get insights into current and future developments in autonomous green technology and a status update on progress towards the greenhouse of the future. These leaders will have the opportunity to be inspired by the shipping industry that faces challenges that are similar to their own, but are different from their visions and perspectives. More information on attending the GreenTech Summit 2019 will be shared with pre-registered visitors. GreenTech has asked the industry to share their latest innovations. Every entry will then be assessed by an expert jury. The winners in 4 categories (Innovation, Sustainability, Impact and Concept) will be announced during the official opening of GreenTech, Tuesday 11 June. Visitors can register free of charge until 3 June on the GreenTech registration website. After 3 June the online registration fee will be €40 including VAT per person, and €70 including VAT at the entrance desk.